Linn Acres Farm: Growing Your Own Shiitake Mushrooms! 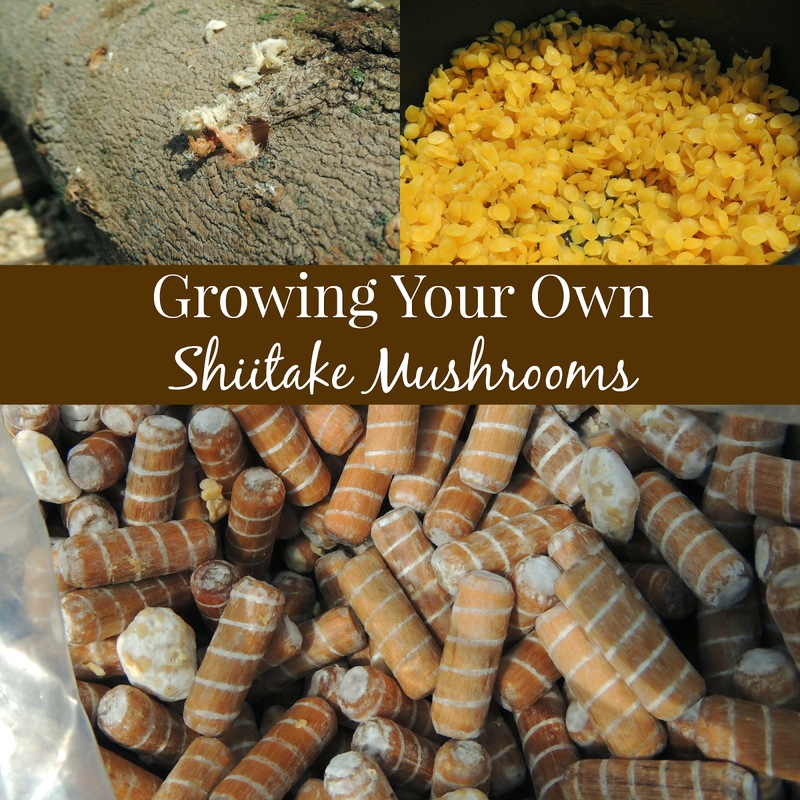 Growing Your Own Shiitake Mushrooms! I absolutely adore mushrooms. They are delicious, healthy, and easy to prepare. What more could you want? But I honestly never heard of growing mushrooms yourself until recently. I immediately assumed it would be difficult. And probably include a lot of upkeep. And probably be expensive. Especially when I heard the term "inoculating logs". That almost sounds like a medical procedure! But I assure you, none of my initial assumptions were correct. I've been really excited to write this post, mainly in hopes that others will want to learn more and possibly add some mushroom logs to their backyard or homestead. I did quite a bit of reading before deciding to purchase our mushroom plugs and by that time I couldn't wait to get going. I am by no means an expert, but I wanted to share our experience. And since starting our shiitake mushrooms, we've bought 1000 more plugs of oyster mushrooms! Let's first start off with why you might want to grow your own shiitake mushrooms. First off, mushrooms on their own are considered to be a very healthy food. Shiitake mushrooms specifically have been found to boost the immune system and support the cardiovascular system. They are a great source of iron, vitamin D (which so many people are deficient in), B vitamins, niacin, folate and choline. Additionally they are a good source of minerals such as copper (a single servings provides 65% of your daily value), zinc, selenium and manganese. They're also a good source of dietary fiber, antioxidants, and phytonutrients. There are also a number of studies that have been investigating shiitake mushrooms "anti tumor" effect. For more on their health benefits, check out this page on the worlds healthiest foods. Make sure you scroll down to the health benefits section! Once you decide you want to grow your own mushrooms, you need to purchase what is called plug spawn. 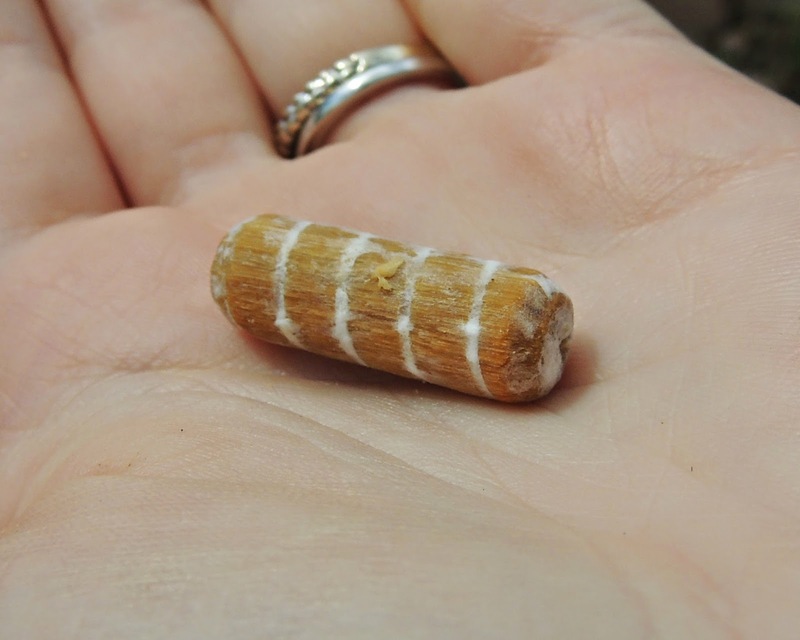 These are small wood dowels that contain the mycelium (which is a fancy way of saying the fungus that makes up the mushroom), that you place inside of your logs. They are sold at Fungi Perfecti (100 plugs & 1000 plugs) as well as many other online stores. Even amazon carries them! Make sure to buy from a well reviewed source to ensure you receive viable plug spawn. You can tell your plugs are alive by the white fuzzy rings that circle the plug. Mushrooms are grown on logs. Primarily hardwoods, although there are a few types that prefer softwoods. Shiitakes prefer hardwoods. The most preferable type of wood is oak, but other hardwoods work well: Chestnut, Ash, Maple, Hickory, Sweet Gum, Iron Wood, and Hornbeam. If none of these are available, fear not! Alder, Beech and Birch will also work, as well as Poplar, Willow and Cottonwood, but they may not be productive for as long as other woods because they tend to break down more quickly. The logs you will be using should be cut from healthy living trees, with their bark intact and in damaged. They should not have any other fungi growing on them, although moss and lichen are fine, but should be lightly wire brushed. The best time of year to cut your logs is late winter or early spring, just prior to the trees beginning to sprout. The moisture content and sap inside the tree increases at this time, which means the mycelium will have a plentiful supply of food! 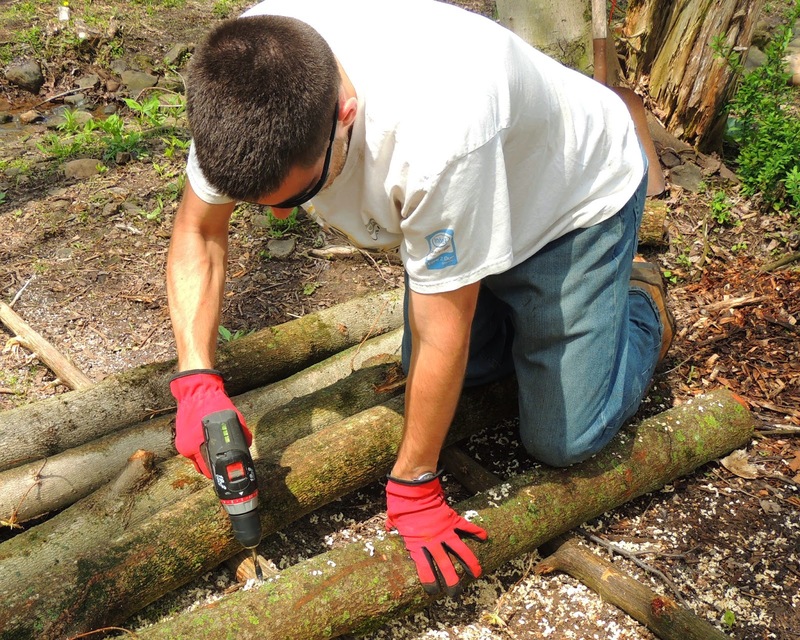 Logs should be cut in lengths of 3-5 feet in length, so they can be easily moved. A diameter of 4-8 inches is ideal. Larger pieces will work, but it will take longer for the mushrooms to fully colonize the log. Thinner logs will work as well, but will break down more quickly. After cutting, the logs should be kept up off the ground and allowed to sit in a shady area for at least 2 weeks and up to 6 months. A pallet is perfect to stack them on. It's important to let the natural anti fungal compounds within the tree to dissipate and keeping them out of contact with the dirt helps to ensure that no other fungi move into your logs. Logs that have been sitting for longer than 6 months will not have the best results. After that length of time, the logs will have dried out and will possibly have become colonized by other fungi. After your logs have sat for at least two weeks, you can get ready to begin the plugging process! 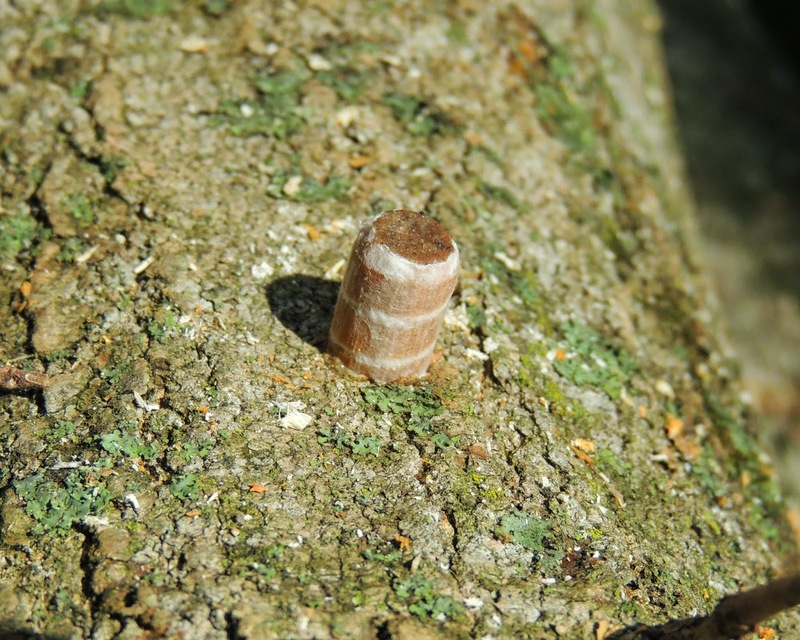 Although you can inoculate your logs at any time during the year, spring is the best time. You want to protect your logs from freezing temperatures for 4-6 weeks after inoculating. The same applies for the fall, so make sure to get your logs started before your first freeze. You can protect your logs from freezing temperatures by storing them in barn or garage. But plugging your logs during a heat wave isn't the best idea either! You want to give them time to adjust without extreme weather temperatures in the mix. If you're lucky, you'll have some helpers as you work on your logs. - Beeswax, a container to melt it in, and a way to melt it. The beeswax is used to coat the holes after the plugs have been inserted. This step is not 100% necessary. But it will give you a higher chance of success. The wax has a few purposes. It will help to keep moisture within the log, as well as prevent any other fungi from entering. We have found that about one pound of beeswax is sufficient for 1000+ plugs. We simply melted ours in an old pan on the burner of our grill (which we rolled out to where we were working). 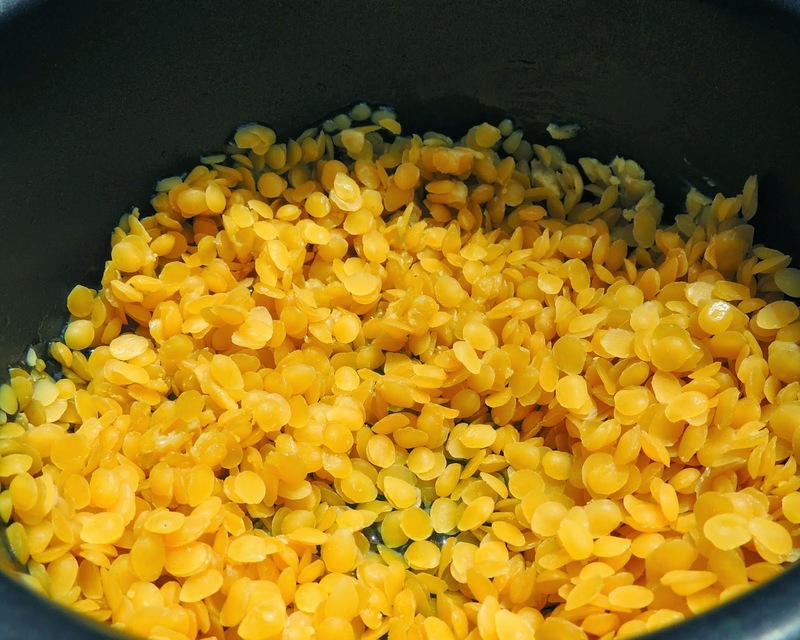 You can use a hot plate, campfire, or a small camp stove to melt the wax as well. First, assemble your tools in one location. It's easiest to drill all the holes at once, then plug the logs, then seal them. If you have more than one person, the whole process will go much faster. Try to keep a rough count as you drill so you don't end up doing a lot of extra work. Using a 5/16 drill bit, drill your holes 1 1/4 in deep. Simply place a piece of tape on your drill bit to make sure you are drilling the right distance. You don't want to drill too deep, as you will need to use quite a bit of wax to seal them in. The plug should be even with surface of the log. Drill your holes about 4 inches apart, in a checkerboard pattern, continuing until the whole log is evenly drilled. Once all your logs are drilled, open your container or bag of spawn. It's best to not open them until you are ready to place them in the logs so you don't accidentally contaminate them with a competing fungi. With clean hands, place them one at a time over the holes and give them a good whack with your mallet to push them into place. Again, the plugs should be even with the surface of the log. You don't want them sticking up or sunk down too deep. 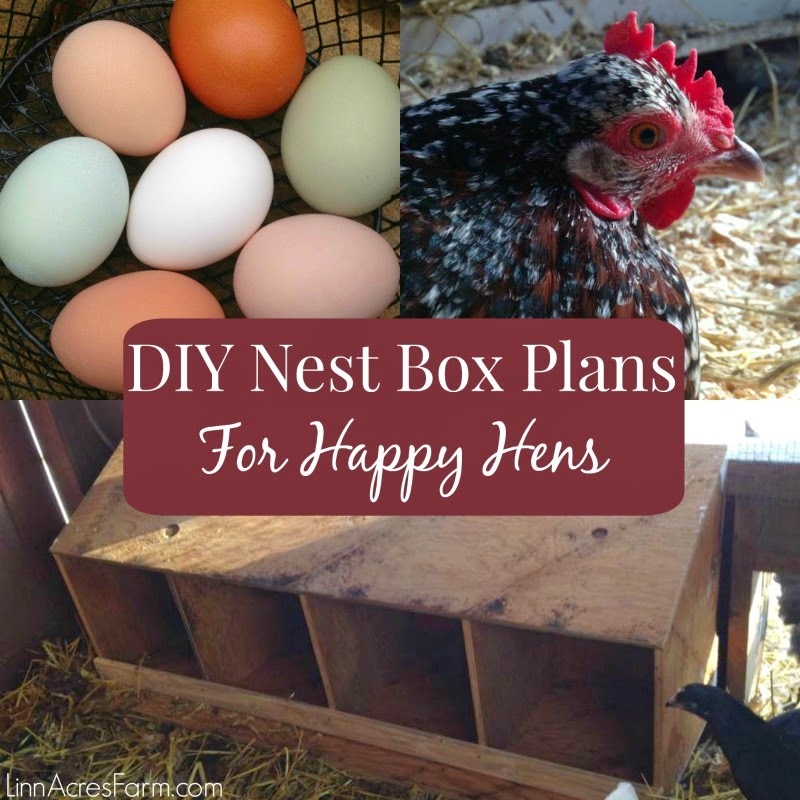 Don't leave any empty holes, which could be a place for competing fungi or parasites to enter. If you do end up with extra empty holes, fill them with wax to seal them. The plug fits perfectly in the drilled hole. Your next step is actually my favorite. I love beeswax! So melt your wax, stirring it with your paint brush to make sure it's smooth. Once it's melted and smooth, begin to coat the plugs with a thin coating of the wax. After you have coated the plugs, brush the ends of the logs with wax as well. I found it helped save wax if I placed the pan underneath the end of the log (we had them elevated while coating with wax) and allowed the excess wax to drip back into the pan. Can you tell I hate wasting anything? Holes are covered with wax. And that's it! You have just inoculated your first mushroom logs! Give yourself a pat on the back. Now all that's left is to stack them up on a pallet, to keep them up off the ground. Stack them in a crisscross pattern. You can also use old fence posts, other logs, rocks or cinder blocks to stack them upon. Use what you have available. Your stacked logs should be kept in a shady area. Under pine trees are ideal because the provide shade even in the winter months. If you have a very sunny yard and don't have shade available, try placing them underneath a deck if you have one or underneath a shade cloth. You can pick up a shade cloth at a garden store, Amazon, or even Ocean State Job Lot! Keep your logs moist by watering them every other week. If you are getting enough rainfall, you may not have to water them at all. But if you live in a particularly dry area, they may require more regular watering. Use your judgment. The end of a log sealed with beeswax. Your logs will "fruit" in as little as six months, but it may take longer. The mycelium needs to completely colonize the log before it produces mushrooms. The thicker your logs are, the longer this will take. But larger logs last longer than smaller logs. You can expect to have 5+ years of mushrooms from a good sized log. 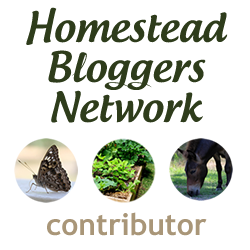 The largest harvests will usually occur one to two years after you have started your logs. They will typically fruit in the fall or spring. There are a few different types of shiitake mushrooms, but the type we purchased will produce mushrooms when temperatures are between 50-80 degrees F. We are still waiting for ours to produce mushrooms, but we are very excited! In case you'd like some further reading, here are some additional books on growing mushrooms, as well as shiitake plug spawn. Click the photo to be brought to their listings on amazon. Have you grown your own mushrooms or are you planning to? Tell us your experience or plans in the comments! I had put this on my to-do list for this summer so thank you for the reminder and such great tips!! Cool! I knew nothing about this- now I would like to grow my own mushrooms someday. Thanks for sharing this informative post! So glad you enjoyed it! I was very surprised at how easy it is! Very interesting. Thanks for the great explanation and tips! Thank you for the very clear instructions. I will try them. Please note though; you said "mushrooms are grown on logs. There are many kinds of mushrooms . Some kinds do grow on logs and living trees, many other kinds grow in the soil.